Atarnjuat rolled in his sleep peacefully. His dreams betrayed the storm beneath his otherwise calm surface. A stick of sage, sweetgrass, cedar and tobacco burned in the corner, gently letting smoke wisp up into tiny phantom creatures. 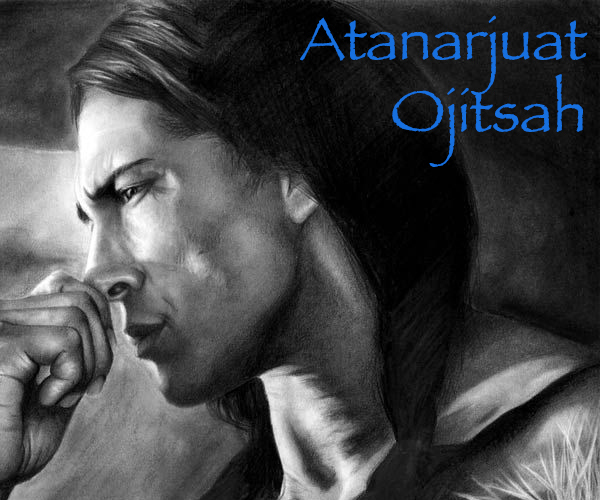 The Four Sacred medicines were burned by Atanarjuat as an offering to the Ancestors and the spirits he communed with. And he burned them to ward off wickedness and bad dreams. Sometimes, his gut would tell him to light it before bed to ward off bad dreams...or call the spirits forth to bring him news of the past...or present...or the future. Whatever it was they saw fit to bring him really. Tonight they brought forth visions of the Ancestors. No, the Hotamétaneo'o came to him tonight. A warrior society as old as the Great Spirits. A society as old as the foundation of the Tribes. As old as the honoured Eagle-Raven who created the humans of the tribe from chitons and the first men he pulled from the clam shell millennia ago. They were made outlawed by Katara after the 100 Year War, but during the days of the war, the mysterious society were one of the last resistances against Fire Lord Ozai and his armies in the Southern Tribe. Even after he had killed off or kidnapped the last of the Water Benders of the Southern Tribe--save for Katara--the Crazy Dogs, as Ozai's men called them, continued to fight. Half man, half spirit--all animal. Some say they went underground after their supposed disbanding by Katara...no one really knew the truth. The Atanarjuat of Dreams approached the dancing chanting Warriors. They chanted another forbidden song and dance from the days of Katara...the Ghost Dance. Not only could the society transform themselves into wolf-like creatures to defeat their enemies...they could supposedly raise the Ancestors from the dead and allow their spirits to fight alongside them once more. They used the Ghost Dance to call on the Ancestors for help and achieve this end. What puzzled Atanarjuat...was why they had called upon him tonight, specifically. Why did they come before him? What would they show him? "Shé:kon," he said simply to the men. They continued their chant, paying no heed to Atanarjuat. They were tall, muscular, built like trees of the thickest wood. Their shoulders were broad. They wore nothing but leather pants and a long leather strap--the one they would stake themselves to the ground with and fight to the death. They carried and assortment of weapons--axes, spears, clubs, shields. But they all had a small quiver of arrows at their side, and a bow across their back. Their boots made no sound as they stomped at the ground. Simple leather "socks" tied together with leather cord. Better for silencing the footsteps and stalking prey...or enemy soldiers. Atop their heads were a crown--a war bonnet of great splendor--of crow feathers, black as night, but tipped with white. Their faces, and entire bodies for that matter, were white as the snow outside. They had painted themselves in the ashes of their Ancestors to better call upon their power. Atanarjuat was in awe at these men. He witness folk-legends up close. They had been real...they were not just myths. "Shé:kon," he called once more, hoping to say hello. The men did not respond once more...at first. They finished their chant, their dance, and then turned to face Atanarjuat with serious faces. They were an imposing sight. "Aniin," said the tallest among them, likely their leader. He spoke the Southern Dialect...Atanarjuat was rusty on that. Clearly they did not appreciate the Northern greeting. "I am honoured by your presence," continued Atanarjuat, trying to get back on the right foot, "To what do I owe the pleasure of your visit?" The Dog Men laughed. "You talk pretty," laughed their leader, "But you are half Southerner yourself. Do not ever forget who you are, young one." Atanarjuat bowed his head, mostly to hide his red cheeks. "We come to tell you the most important news of all," smiled the leader. "And what is that, O Great Ancestor?" asked Atanarjuat. The Dog Soldier leader laughed. "The identity of the next Avatar." Atanarjuat was stunned. Speechless. He had no words. "Who is she? And why have you been chosen to tell me?" "We may not be your Ancestors, Wise One," replied one of the other Dog Soldiers, "But we are hers." "Hers?" asked Atanarjuat, "What is her name?" Ziio slept peacefully in her small elk-moose skin tent. Set up in between two of the massive ice buildings in Dezadeash. Here she slept as she was in town selling her latest haul of bones, materials and pelts to the local shops. A decent haul it was too. She also needed to restock some of her supplies. Tonight she slept alone, bundled up in a Polar Bear Dog skin blanket. Her sleep was not a peaceful one--relatively speaking. No...tonight, she was visited by the spirits of her Ancestors. The Hotamétaneo'o. The Dog Soldiers. The Crazy Dogs as the Light Skins called them. She danced with them, dressed like them. Naked from the waist up, her breasts dangling and swaying as she danced. Her pants simple leather creations. Leather sock-boots tied with leather cords for shoes. A leather strap that dangled from her waist alongside a small quiver of arrows. A bow on her back. Her axe at her side. Her skin was tinted white by the ashes of her Ancestors. Her hair was long, plaited in the back, decorated with beads and long strands of leather and feathers. Atop her head, a black crow feather headdress. A black "mask" of paint covered a rectangular strip across her eyes. Two more, coming from the black strip on her eyes, came down diagonally across her cheeks to her jawline. Her lips were lined black with the kohl as well. She chanted with her Ancestors, the words of the sacred Ghost Dance. Over and over again they chanted it--until they stopped. And then, those gathered around the ghostly bonfire that light up their faces in the otherwise blackness of night, turned to face Ziio. She stopped to watch them. The leader, laughed. Her reaction was always the same. Caution--she would always trust her Ancestors, yet life had made her sure to verify everything anyone said. "No need for violence now, Little Wolf. You are among your family, your Ancestors. We are the Hotamétaneo'o. We are your people." Ziio silently nodded and eased up. "Do you know why we come this time, Little Wolf?" asked the tallest man again. "We come to tell you that the world needs you," answered the man, "The world needs the Dog Soldiers once more...and they have chosen an almost ironic way to go about using us." Ziio cocked her head silently but curious. "You are the Avatar, Little Wolf. Soon the Grand Shaman of the Confederacy will come to look for you. His name is Atanarjuat of the Ojitsah Clan. We have sent him, he comes with our blessing. He will mean you no harm. Trust him." Ziio had so many questions to ask. But fate did not allow her to ask them. Instead she opened her eyes to the first rays of light, the first trickle of dawn that crept through the smallest of holes in her tent. Something in her screamed...but she also could not verify that the dream she had had was even real. It was a dream after all. And yet...the Hotamétaneo'o had never lied to her before. Countless times had they appeared to her in the past, and now they had appeared again. Each time they brought warning, or knowledge--knowledge of past, present or future. And they were never wrong. So too was it this time then? The Avatar? No...it had to be impossible. It could not be...or...could it? She would know soon enough, when the man known as Atanarjuat came for her...he would be sent by her Ancestors. Ziio did not trust or like many people. Her people among them. But any Shaman who could speak to the spirits and was trusted by her Ancestors could be at least half trusted in her eyes. Atanarjuat ran through the palace of ice and snow. He didn't bother to throw on much more than his boots and pants. "Wake the Waneek!" cried Atanarjuat, "I have had a vision of the spirits!" All the guards watched him as if he were a madman, running around at the crack of dawn towards the Bonfire Room where the Council of Elders met with the Waneek before the Sacred Bonfire. He would be meeting his grandmother alone, and the Elders would be notified later, but the importance of the situation was no less than before. "Did you not hear me?" cried Atanarjuat as he passed by more confused, sleepy looking guards, "Awaken the Waneek, now!" "On what grounds, sir?" asked the guard, "She has retreated to her room to engage in a Sweat Ceremony and was told not to be disturbed for anything." Atanarjuat, usually a peaceful man, grabbed the guard by his leathery lapels. "The Spirits of the Ancestors have given me a vision." "Can't it wait?" yawned one of the guards. Atanarjuat shot him a foul look. "The Ancestors do not wait." Atanarjuat spat every word back at the young fool. "We have been gifted with the identity of the new Avatar...call the Waneek at once! Or let her anger at not being notified be on your head!" Immediately the two guards ran off to find the Waneek, Atanarjuat's grandmother. It was a mere ten minutes before Tekonwenharake, the Waneek of the North and South, arrived, fully clothed, in the Bonfire Room. In this time, Atanarjuat had prepared the logs for lighting, but had not yet lit the Bonfire that would call the Elder Council to meeting. 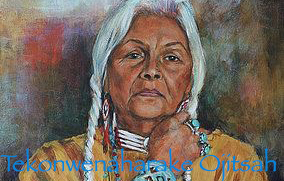 The Waneek had left her white hair to flow freely about her shoulders, and she had not put any any of her necklaces, feathers or beaded ornaments, or her bracelets. But she walked around frantically, looking at Atanarjuat. "Is it true? Did the Ancestors tell you the identity of the new Avatar?" asked Tekonwenaharake. Atanarjuat nodded. "The Ancestors did...though the Ancestors were not ours." "Whose were they?" wondered the Waneek. Rarely did another family's Ancestors interfere with the mind and dreams of those who were not kin. Atanarjuat's grandmother nodded sagely. "It makes sense...She, you say? A female Avatar?" Atanarjuat nodded. 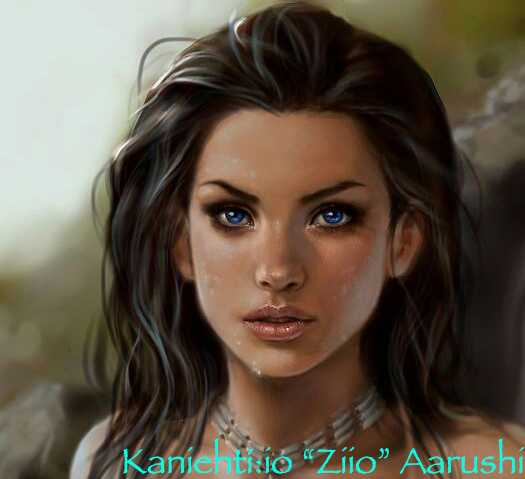 "Kaniehtí:io of the Aarushi Clan, originally from Dezadeash." 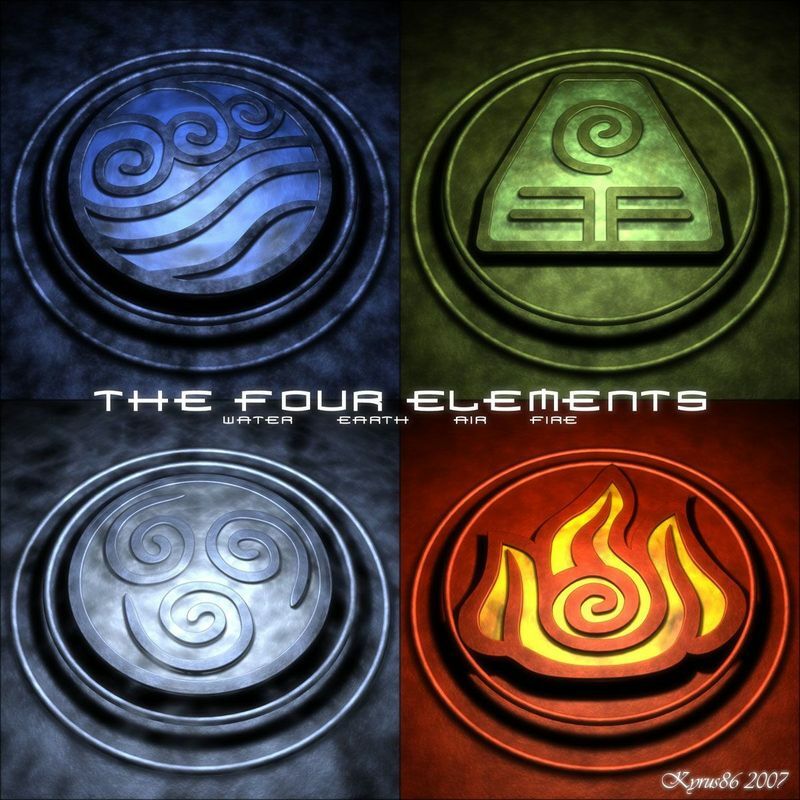 "A Northerner...a good, traditional Water Tribe name," smiled Tekonwenaharake, "I am glad. This will be good for the tribe. The Aarushi Clan...a small clan, originally from the South but now from the North. I knew one in my youth, a young boy...he must be old or dead now. I outlived most of my generation." Atanarjuat sighed at his grandmother's poorly timed reminiscing. "Grandmother..."
The Waneek cleared her throat. "Yes, you're right. My apologies. Did these Ancestors say where to find her?" Atanarjuat shrugged. "You know how the Spirits are. They did and didn't. They gave me a bunch of riddles and half-words that I'm supposed to figure through myself. Shes sleeping in the bellow of two dead beasts, dressed in the skin of another. She's alone, without kin. But they're not far from here. She's apparently in the city though. That was the only specific I could wrestle from them." "Them..." wondered Tekonwenaharake, "Tell me more about these Ancestors...what were they like?" Atanarjuat was not sure how his grandmother would take the Avatar descending from Dog Soldiers news. His family, his grandmother's grandmother had had been chosen to rule over the tribes by Katara's children, and had been friends with Katara herself. Katara was the one who outlawed the Dog Soldiers tradition...would Tekonwenaharake feel the same? "I cannot share the visions of the Ancestors," lied Atanarjuat, "There is much they would wish to keep secret from the living. I share only what I can." He figured for now, he would play things safe. He could always reveal more later...or not. If Tekonwenaharake knew her grandson was lying she did not show or share it. She merely nodded and smiled and turned towards the small window that overlooked the city. "Light the fire, Grandson," stated the Waneek, "Call the Council. I let inform them of what you have told me. In the mean time...you may search for the Avatar. The Ancestors saw fit to divulge the information to you...so it must be you who finds her." Atanarjuat did as he was told, and dropped the flaming torch he held into the bonfire. Within minutes, the logs, tinder and bark had erupted to a roaring bonfire, and the smoke fulled its way into the small hole in the ceiling...the Elder Council would soon notice, and convene. Within hours they would know about the new Avatar...and the politics would begin.